RENINE METALLOYS is a specialist manufacturer and Distributor of internationally procured materials from various reputed MILLS. Nickel Alloy and Special Metal which includes Sheets, Plates, Bars, Seamless Pipes, ERW Pipes and In-house manufacturing facility for Flanges, Fasteners, Pipe Line Equipments, whiich include materials Like Nickel Alloy - Special Metals, Duplex & Super Duplex Steels, Titanium, Tantalum etc. All these products are designed and manufactured using the quality approved raw material and cutting-edge technology in compliance with international quality standards. We offer a wide variety of Pipes and Tubes for our valuable clients. Pipe Fittings that is manufactured using optimum quality of materials. Austenitic Steel : ASTM / ASME SA 276 TP 304 , 304L , 309S , 309H, 310S , 316 , 316L , 316 TI , 317 , 321 , 347 , 410 , 420 , 430 ,431 , 440A ,B & C. , 446 ASTM / ASME SA 479 TP 304 , 304L , 304H, 309S , 309H, 310S , 310H , 316 , 316H , 316L , 316 TI , 317 , 321 , 321H , 347 , 347 H , 410, 430 ,431 & 444. Austenitic 904L | 254SMO | AL-6XN | Duplex 2205/S31803 | Superduplex S32750/S32760 | 17-4PH | 15-5PH | Ni200/Ni201 | INVAR36 | Alloy400 | Alloy600/601 | Alloy625 |Alloy690 | Alloy 800/800H/800HT | Alloy825 | Alloy20 | Alloy28 | C276 | C22 | B2. 25-6 MO, 254 SMO, 304/304L, 304H,, 310, 316/316L, 316H, 317L, 321/321H, 347/347H, 904L, AL6XN Alloy 20, Alloy 200, Alloy 400, Alloy 600, Alloy 625, Alloy 800, Alloy 825, AlloyC276 F5, F9, F11, F22, F44, F51, F53/2507. 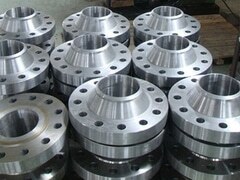 We present the best quality Stainless Steel Flanges in the national as well as international markets. Stainless Steel Flanges offered by us are accessible in various ranges and specifications as per the requirement of the clients. We are associated with Some of top largest Brands of steel producing companies in the world. Flawless quality standards is achieved through the efforts of our team who adopt an intransigent approach towards maintaining standards of product range. Client Satisfaction is our main motto. In order to offer best-in-class products to our customers, our team works in close coordination with our customers. It's worth a small amount of money with lots of special offers and benefits. Be quick! Be happy! No worry about delay or miss contact with our support department. RENINE METALLOYS offers a complete range of measuring solutions for various industry applications. Renine Metalloys is one of the top Nickel Alloy Stainless Steel Provider in the Current Market that hits on expectation of any Steel related Products. We have been in working relationship with Renine Metalloys in Mumbai, Maharashtra for over a decade. What sets them apart from the other suppliers is their commitment to the customer. It is my pleasure to work with your Renine Metalloys team and I am thankful for the support, information and everything your team assists me with each time I contact them.